Detergent booster and water conditioner. Controls water hardness to aid in detergency. Contains organic and in-organic water conditioners. Fabra Kleen Conditioner is a concentrated laundry additive developed for commercial and institutional laundry operations. This unique solution performs many functions in the wash cycle including the sequestering of hardness ions and the addition of alkali for removal of tough stains and soils. 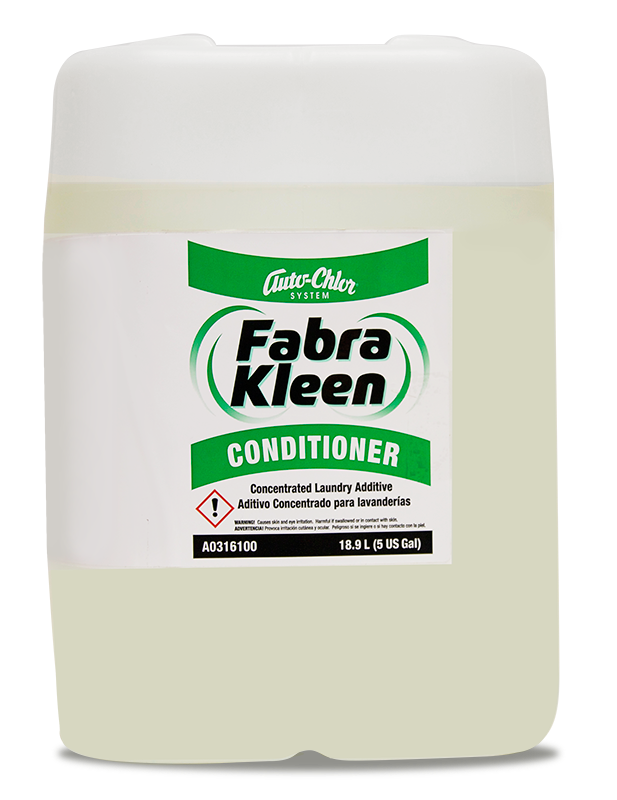 Fabra Kleen Conditioner was designed to eliminate the interference of metallic salts in the laundering process, as well as provide elevated detergency and deflocculation of soil. This product is safe to use on all fabric types and in all water conditions.